Do you remember your childhood crush? I certainly do. I used to draw a medium-height lady, with very long straight hair, facing backwards with the wind blowing through her hair and dress while overlooking a distant view. And amazingly during my high school years, I met her and proved that my ideal partner existed in the real world. However, we never ended up being in a relationship. Ladies have a (most of the time) unconscious checklist of her ideal man. When I was too young to even think about love, all I wanted was a guy to be kind and smarter than me. He doesn't have to be gwapo (handsome), but definitely someone I could walk side by side with (hehe). I was an achiever in school and I dread the idea of having to tutor "the guy" and him not understanding my intellectual (ehem) jokes and conversations. Boys come and go, most do not fit the checklist, some do - but somehow it didn't feel right. So I never went into those relationships. During college, I was eyeing for another cute face with long straight hair lady. I noticed that she often goes to our school chapel and attend Mass. So, I invited my "seatmate" in chemistry and told her let's go to mass (hoping to find my college crush in the chapel). 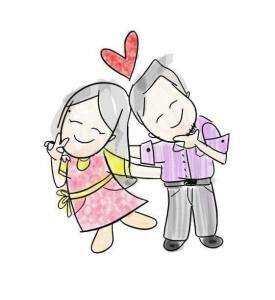 Upon looking around, I didn't see my crush, but instead I was looking at this unexpectedly beautiful lady next to me, one seat apart: my seatmate - and that is how I met my "real partner." My mom said that I should be praying for the right partner for me, and I have to enumerate ALL - up to the finest detail - the things I want in a guy. I didn't give Him a time frame, I just talked to Him often about the man I wanted. I wanted God to prepare him for me. Then I grew up and forgot about that thought. What I was asking for then was "Lord, give me someone who will bring me to You". I wasn't really a church person back then so I badly needed that. Then my seatmate invited me to a first Friday Mass. And the rest was history. True story. I only realized this months after: that he was what I asked for from God. And yes, he fits my checklist well. Now I realized why my drawing of my ideal partner was looking backwards, because she existed in that distant view. Now I'm currently married with my "real partner" - cheeky face (but cute), wavy hair, cool yet girly, frankly honest, thoughtful, and someone I love to talk with. And I'm loving her more and more everyday. For me, I got most of what I asked for. True, there may be some things that I have just discovered about my husband, but that is never enough for me to doubt my decision to choose him. He is about 80% of what I needed, he compliments my skills and attitude, and we can laugh out loud with some silly things others wouldn't understand. He speaks my love language, knows how to deal with my moods, very understanding and patient, and most especially, smarter than me. He is not my ideal partner, but he is most of it. Love truly moves in mysterious ways. There will be a lot events that you cannot understand why it has happened. There will be lots of decisions that you will make not based on logic but on gut feeling. There will be a lot of questions as to who and when. And you will never truly understand until all the puzzle pieces fit in. Ask, but do not expect. Instead welcome surprises. You'll never know that the person you'll end up with was right beside you all along. Sometimes, we never get what we asked for - because we are meant for something more. 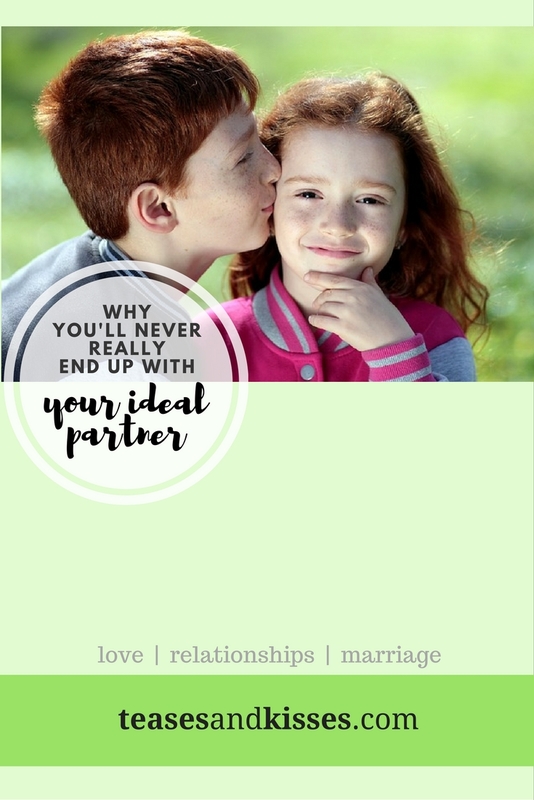 Sometimes, we are not meant to meet with our ideal partner because we are bound to end up with our "real-life partner."